Unearth the World is thrilled to welcome Stefana Soitos as a guest blogger this week. 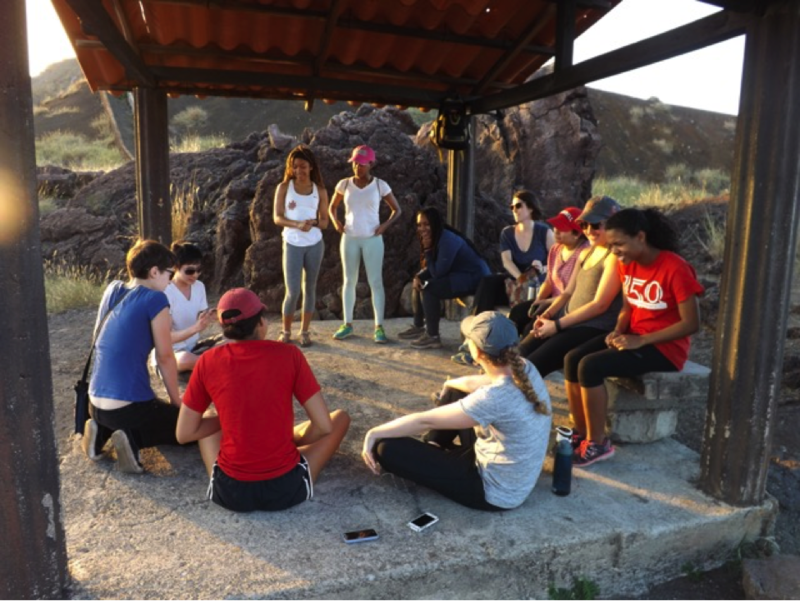 Stefana recently led a group of engaged Cornell students on an Unearth the World global service-learning trip to Nicaragua. In her insightful reflection below, Stefana touches on her key takeaways and learnings from facilitating this trip. We love how she focuses on adaptability, language immersion, group dynamics and vulnerability – all things that Unearth the World finds essential when engaging in meaningful cross-cultural exchange. We hope you enjoy reading Stefana’s post as much as we did!!! Stefana enjoying the beauty of Nicaragua. Seven years ago when I was an undergraduate at the University of Massachusetts, Amherst, I was immersed in facilitating and teaching an alternative spring break course to fellow undergraduates. That program greatly influenced my career choices after graduating, and cemented my commitment to service-learning. When the opportunity arose to lead a service-learning trip abroad in my current position at Cornell, I immediately jumped at the chance! Over the past couple of months, my professional career has come full circle with my undergraduate years. 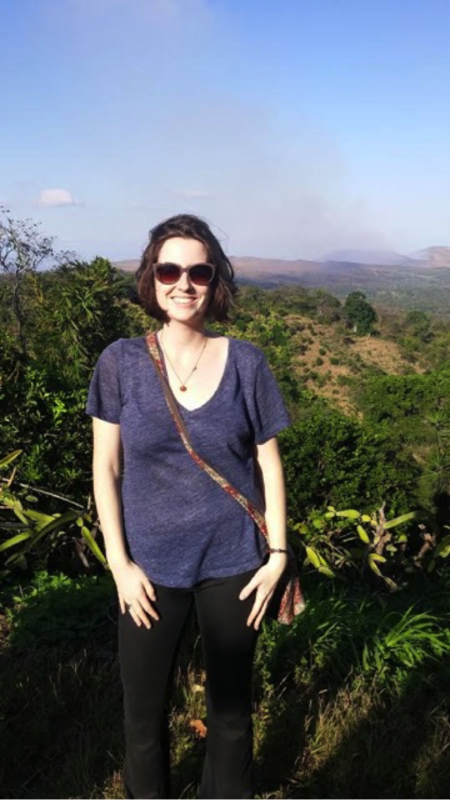 Planning the trip with Unearth the World, volunteering in Nicaragua, and leading a group of 11 students fondly reminded me of my time facilitating a similar program at UMass. And, perhaps most importantly, this service trip has given me the chance to reflect on facilitating service trips abroad, reminding me how these educational experiences provide for such unique learning opportunities for both students and practitioners. Below I’ve outlined a few of my main takeaways from our group’s time in Nicaragua. 1. Service projects can and will change and that is okay. Let it be a teaching moment for you and for your students. 2. Learning and speaking the language of the community you are working with is essential and important. One-on-one Spanish lessons help to increase cultural engagement! A central component to the Cornell Commitment’s service trip with Unearth the World was participating in afternoon Spanish classes, taught by local community members. I’ll admit, at first, I thought: How beneficial will these Spanish classes be for our group? Will they take away from the purpose of the trip, which is volunteering? However, as a participant in the classes, I found the Spanish classes incredibly useful. My rusty Spanish-speaking skills suddenly became slightly better, and I was grateful to practice with community members at the different volunteer sites. I was especially grateful to be actively practicing Spanish every day, because there were multiple times throughout the week where I absolutely needed to speak Spanish, such as when I communicated with local staff (who didn’t speak English) about bats we encountered. And I noticed that the Spanish lessons were equally helpful for the students in our group; students could greet and hold simple conversation with community members after a few lessons. Learning and practicing the native language enhanced my service experience by allowing me to communicate better, and further allowed me – and the students – to have a more immersive service trip. Making an effort with the native language shows that we are taking a risk to put ourselves out there, which I think, is received well by community members. 3. Composition of group matters: Younger students & those who haven’t been abroad benefited the most. Over the week, as I got to know the students better through our nightly reflections, I began to notice that sophomores, juniors, and those who had never participated in a service trip abroad before, appeared to be getting the most out of the trip. These students were excited, engaged, and full of questions. I think this has to do with where students are in their own personal and professional development– students who enter a service trip thinking about how this experience will tie into their academic studies back on campus, are perhaps more likely to feel invested in the experience. Similarly, students who have never been abroad are appreciative that this is a unique opportunity, and one that doesn’t happen every day. 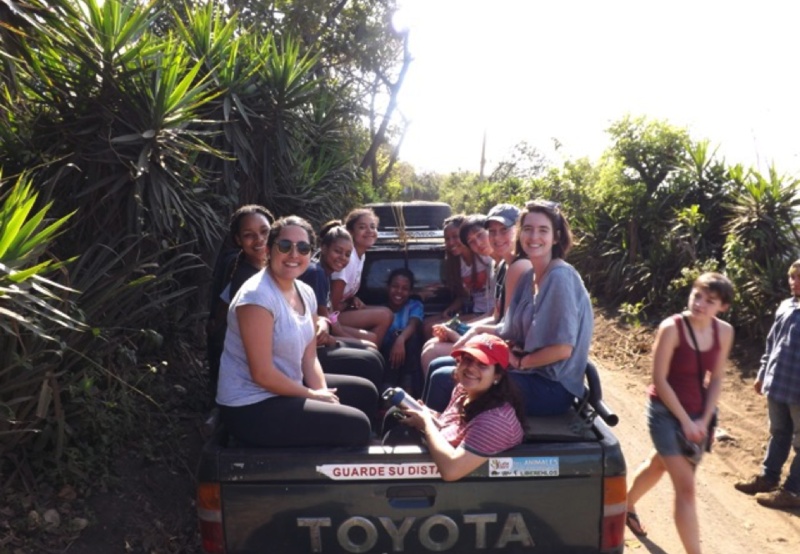 Combining my experience at the University of Massachusetts with the recent trip to Nicaragua, I’ve learned that when building the ideal group of students to learn, reflect, volunteer, and travel together, the group composition matters. Next year, when selecting students, I will be on the lookout for seniors who perhaps have not done service abroad, because this may be one of their last opportunities while in college. And, when selecting sophomores and juniors, I will look for students who demonstrate their openness to reflect and be challenged by experiences, while also aiming to make connections to their studies and work at Cornell. I am also considering interviewing students who I would like to get a better sense of before making final decisions. 4. The importance of vulnerability. Vulnerability is an important quality for students to embrace, particularly on a service-learning trip abroad. Participating in service while abroad means that everyone will encounter situations that are new, strange, and exciting. There is a lot to be gained, both individually, and as a group, when a person feels comfortable to acknowledge their anxieties and discomforts (which are normal to have!). Before we left for Nicaragua, our group read and discussed articles from the Unearth the World curriculum, and completed an exercise where students anonymously wrote down their hopes and fears, and posted them on a wall. Students learned that their worries and hopes were quite similar, thus sparking a conversation with each other. I believe this exercise, in addition to opportunities for “one-on-ones” with myself and conversations with Unearth the World staff, allowed for students to express concerns and questions they had before we left and during the trip. Over the course of the week, some students expressed anxiety around new animals and creatures they weren’t used to seeing in the United States. Because they were able to voice their worries, and not keep them hidden, they were addressed by the staff members. This created a space where students felt more comfortable with each other. As a trip leader, I felt very supported by the Unearth the World staff from the very beginning, and I was given the opportunity to be vulnerable and openly express any questions I had. When spaces are created for leaders to express their thoughts and genuine concerns, I believe this trickles down to the students, thus creating a group dynamic where vulnerability is encouraged and respected. It’s been close to two months since we’ve returned from Nicaragua, and I’m already eager to start planning for next year’s trip. As a student services practitioner, planning experiential education experiences for students not only excites and inspires me, but most importantly, provides me the opportunity to critically reflect on group dynamics, the role of service-learning abroad, and the importance of coordinating service trips for students. Seven years ago, I was not sure what I would be doing professionally, but I am glad to see that my work has provided me the chance to share my alternative spring break course learnings and experiences with new generations of students. Stefana Soitos is the Assistant Director at The Cornell Commitment, a program comprised of three undergraduate fellowships. She is responsible for coordinating a yearly service-learning trip with Commitment students. Prior to Cornell, she coordinated professional development workshops for students at the Office of Student Success, an office within the City College of NY, and completed a fellowship with NYC Service, an Office of the Mayor. Stefana also served two years as an AmeriCorps VISTA with Hunger Free America (formerly the New York City Coalition Against Hunger). She is a proud graduate of the University of Massachusetts, Amherst, and a loyal western Massachusetts native.